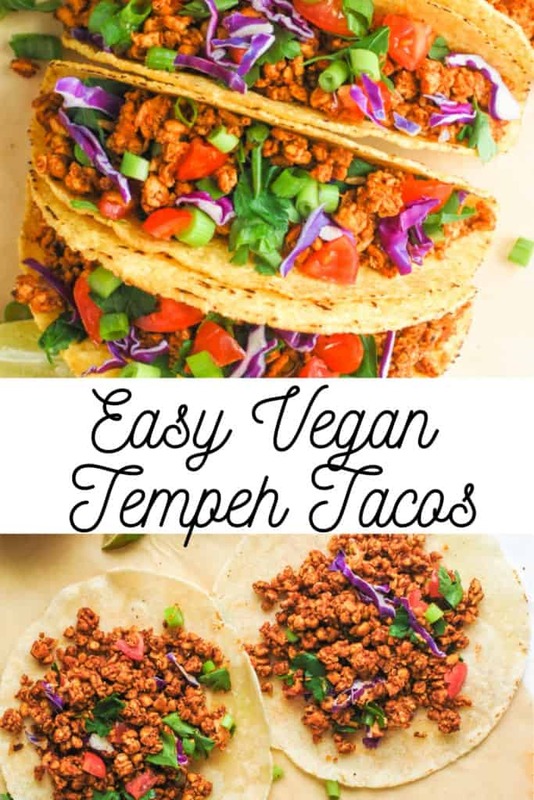 Vegan tempeh tacos are currently on repeat in my house. It’s so amazing what tempeh can do and I love sharing it with my meat-eating family. When most people think about vegans or vegetarians and protein, it’s always a question of ‘Well, how do you get enough protein?’ and most people just assume that you’re eating tons of tofu. Well, let me just tell you that in my humble opinion, I think tempeh is ten times better than tofu! Everything from the texture to the flavor ranks so much higher for me. 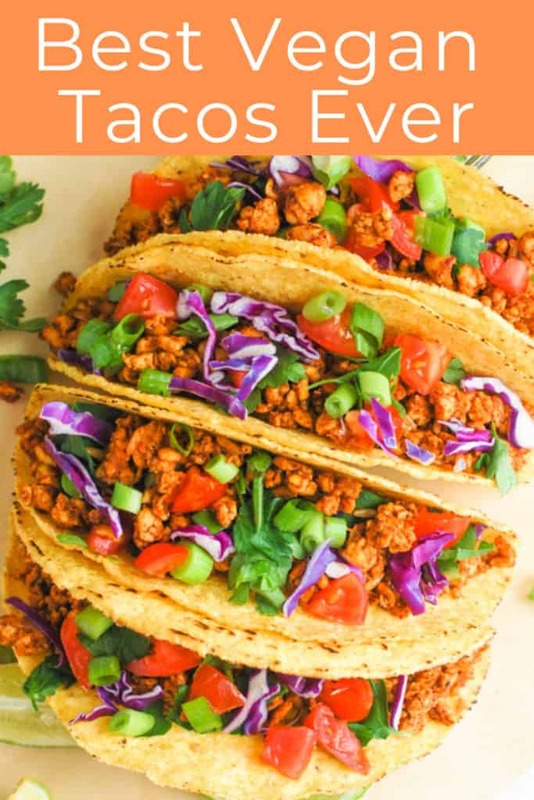 It’s so much nuttier and holds sauces and marinades a lot better, plus it is incredibly versatile and can be baked, pan fried, crumbled into a meat like substitute, which is exactly what we did with these tempeh tacos. 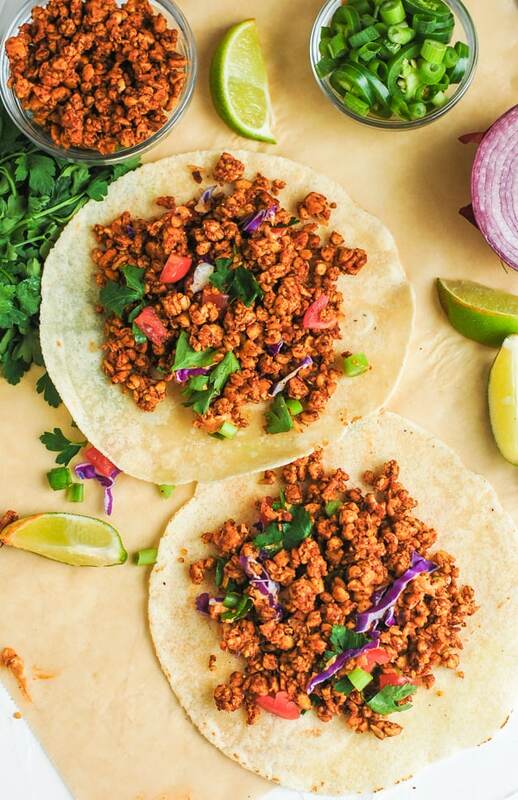 What is in tempeh tacos? It basically takes on whatever flavors you pair it with, so what I did do? Created an epic homemade taco seasoning to coat these with so that we got that authentic Mexican taco flavor. 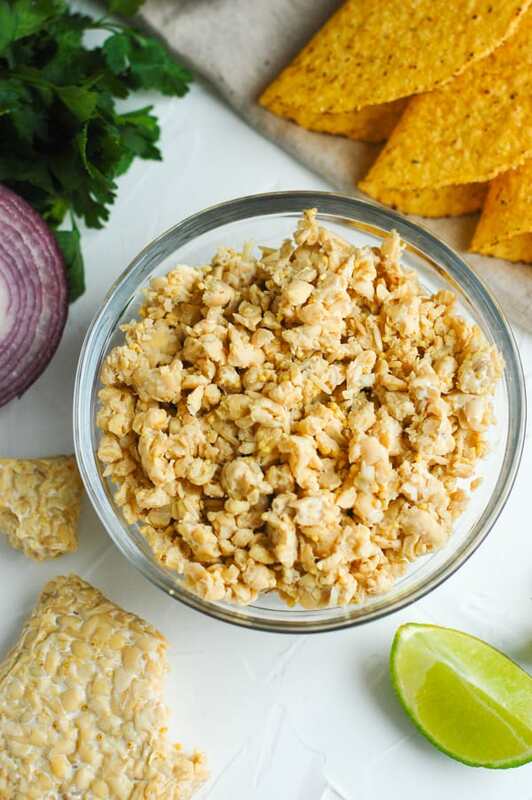 All we really had to do was crumble the tempeh up until it resembled meat, and this is so easy to do! Just takes using your hand to crumble it. 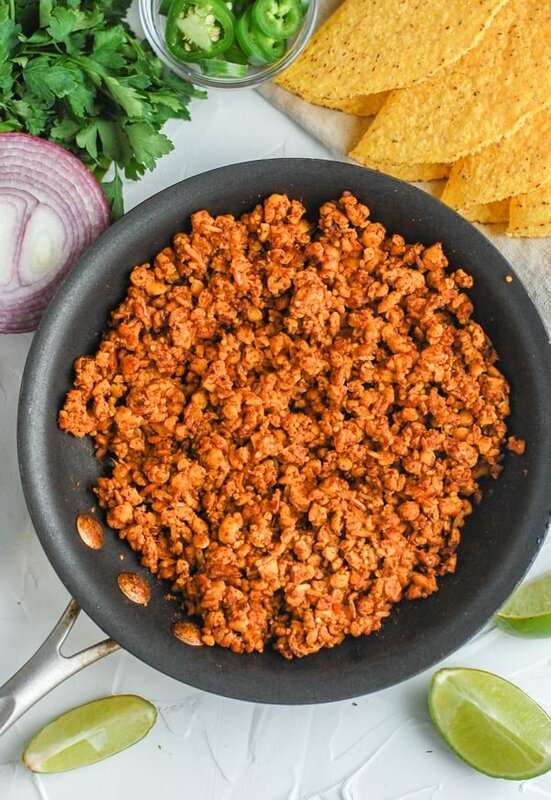 Then, we threw on our epic homemade taco seasoning, threw it in a pan and added it to our taco spread! The homemade taco seasoning really takes this dish to the next level. We’ve got everything that you already have in your cabinet: chili powder, cumin, paprika, garlic powder, cayenne powder, salt, and pepper. So easy. 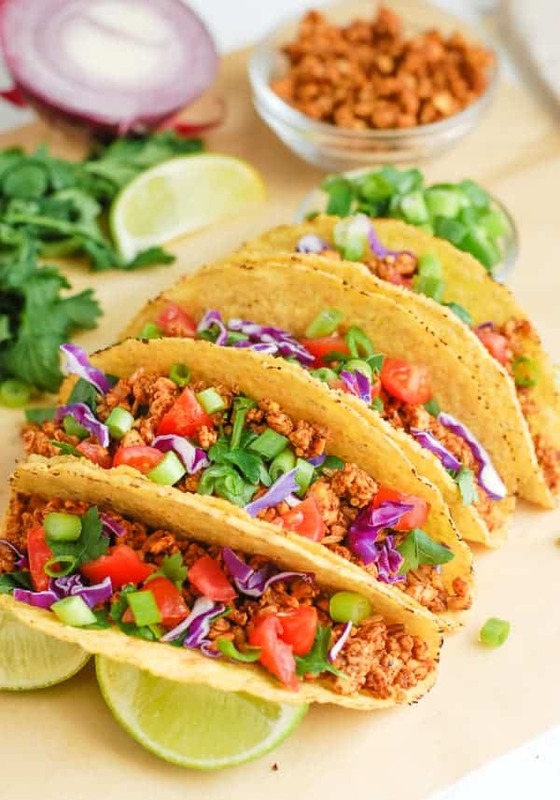 You can also easily use a package of prepared taco seasoning! That will work perfectly! 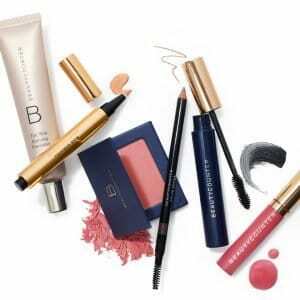 Easy – grab your favorite tortillas or hard shells and get to town! I like to prepare a spread of sliced avocado (or guacamole! ), black beans or refried beans, salsa, shredded cheese, Greek yogurt for sour cream, and fresh cilantro! Store the tempeh meat in the fridge for up to five days. Here are some other tempeh recipes to try! 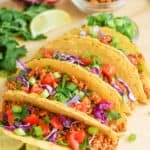 Cannot wait to try these tacos!! I’ve never made tempeh but now I have to try! 🙂 Absolutely fabulous, Erin! This recipe sounds INSANE! 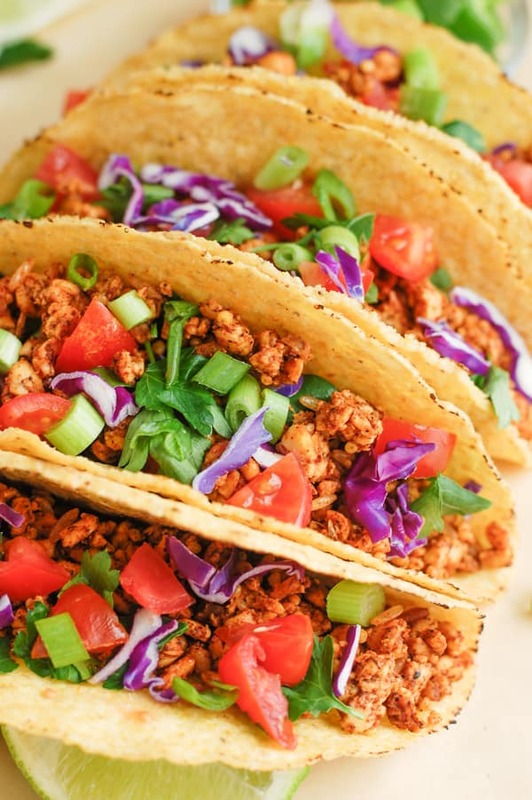 What a fun way to use tempeh!! You’re the best girl!! Love you!!! !